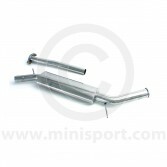 As part of the Exhaust department at Mini Sport, we stock a complete range of performance and budget exhaust systems from brands like Maniflow, Play Mini, Quicksilver, Sportex and Superflow – however our broad selection of Stainless Steel exhaust systems from prestigious engineering brand, Fletcher continues to gain notable popularity. 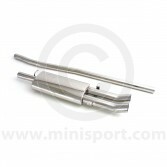 Available in a wide selection of Exhaust System types, the Fletcher range includes 2.5” and 3” high grade Stainless Exhausts available with a choice of LCB or CAT Link Pipes. 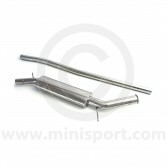 Finished in mirror polish, these exhaust systems are suitable for both pre and post 1991 Classic Mini models with component variations for optimum compatibility. 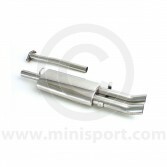 Please note: Our experienced technicians offer a complete Exhaust Fitting Service in our comprehensive Service Centre at Mini Sport.